survey is ready! The deadline to complete the survey is Friday, April 19th. The survey link was shared with families via email and text. Please take the survey - it's brief but comprehensive. 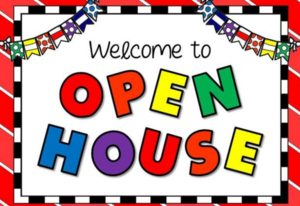 The computer lab will be available at the AES Open House on Thursday, April 11, 6:00 - 7:00 pm if you'd like to stop by and spend a few minutes taking ting the survey. Your input is extremely important to the Arcata School District, and helps inform our Local Control Accountability Plan (LCAP) and allocate resources through our Local Control Funding Formula (LCFF). Active engagement of parents, school staff members, students and the community helps determine funding priorities and program development. Through our LCAP and LCFF we will address California's 8 state priorities and better meet the needs of low- income students, foster youth and English language learners. Thank you for helping support our school district! Our community is so cool! 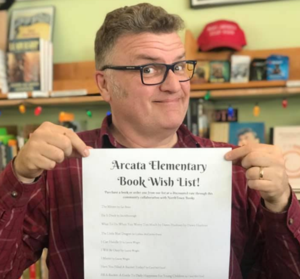 Northtown Books, our local bookstore, is offering discounted rates on purchasing books for Arcata Elementary’s book wish list. Next time you are in grabbing a book, get one for the school too! 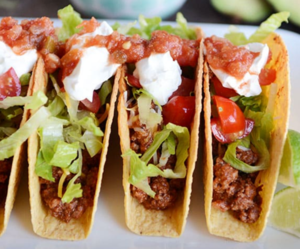 On Tuesday, May 14, our school will take part in the seventh annual region wide Taco Tuesday! The lunchtime event will showcase tacos made with local beef. Clint Victorine and the ranchers that sell through his Pacific Pastures and Eel River Organic Beef labels are once again the primary sponsors. Their beef cattle are completely free of steroids, antibiotics, hormones, and genetically modified foods. 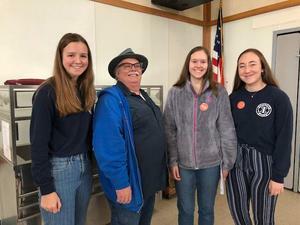 The tacos will be accompanied by Humboldt Creamery sour cream and the salsa that won the Most Marketable award at the 2018 Kid’s Salsa Recipe Competition. Called “Double Delicious Tropical Salsa,” the recipe was created by a team of after school students from Lafayette Elementary School while working with Chef Josh Wiley of Restaurant Five Eleven. Eureka Natural Foods, sponsor of the Salsa Competition, will be producing over 30 gallons of salsa for the May 14 event. Thanks so much to our local businesses for sponsoring Taco Tuesday, and to the Humboldt County Office of Education for organizing the event. Be sure to check out local beef and student-created salsa in the cafeteria during Taco Tuesday on May 14! Thank you, Humboldt Sponsors! Our school district applied for a grant for our Healthy Students Project to benefit the emotional and physical health of our Arcata Elementary School (AES) and Sunny Brae Middle School (SBMS) students. This project will provide both schools with a supply of epinephrine auto injectors to administer to students experiencing anaphylaxis; cognitive behavior therapy games, worksheets, and art supplies for all students working with the District School Counselor and Child Psychologist; puberty kits for all 6th graders at the middle school; and lice kits for both schools as well as the Family Resource Center located on the AES school site. Humboldt Sponsors (https://www.humboldtsponsors.org) is a non-profit charitable organization dedicated raising funds solely to benefit the youth of Humboldt County. Humboldt Sponsors offers grants supporting educational, recreational, and cultural enrichment opportunities and assisting youth-oriented programs that provide basic needs. Our TK - 4th grade students participated in Arcata High School's annual Math Fair. Each year the high school students create math games and invite local schools to participate. An infinite amount of fun was had by all! Beware of the Leprechaun Traps! 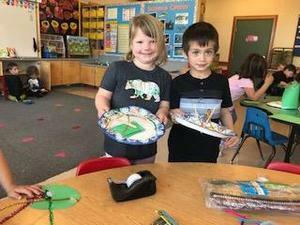 The kindergarten class created amazing leprechaun traps for their STEAM activity.